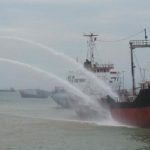 The 73 meter long, 2599 dwt tanker Nona Tang II exploded in the Singapore Strait while berthed at Batu Ampar, Batam City, Indonesia. 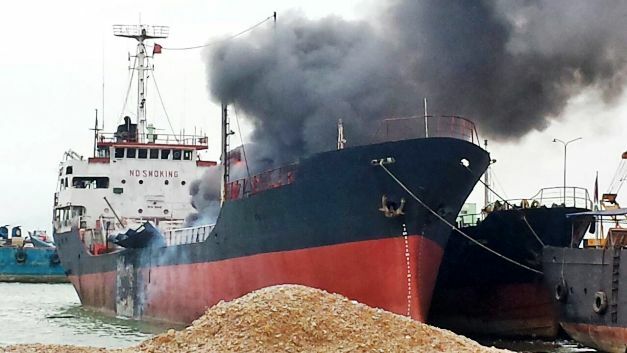 The vessel was undergoing repairs when welders on the cargo deck ignited fuel vapors. 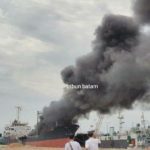 One worker was instantly killed while two others were badly burned. 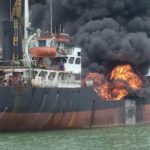 The Nona Tang II continued to burn until local fire brigades and two patrol boats arrived on scene. The fire fighters were able to extinguish the blaze a short time later. Authorities have launched an investigation into the incident. 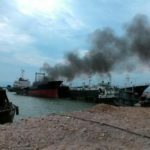 Initial reports state the welders did not have permits to conduct repair work at the time of the incident in violation of safety laws. 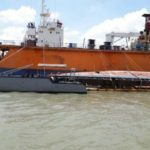 The 73 meter long, 2080 dwt cargo vessel KM Tradisi 8 capsized and sank while berthed at the port of Gresik, Indonesia. 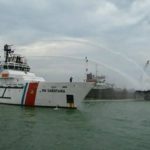 The vessel was undergoing maintenance and repair opperations when the vessel lost stability and capsized and partially sank with the port side hull above water. 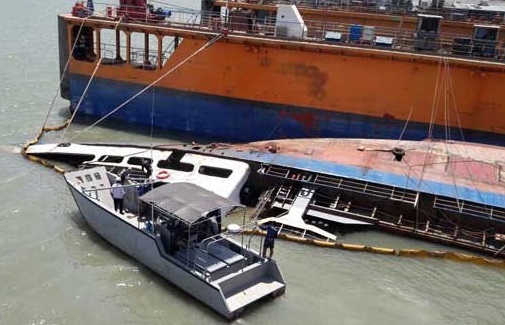 Thirteen of the 14 people on board were rescued by workers and local authorities. One person was reported as missing. 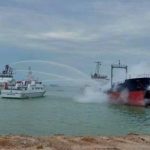 Booms were placed around KM Tradisi 8 to contain any pollution released. 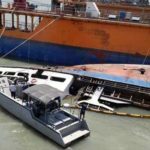 Reports state that local authorities have launched an investigation and found the KM Tradisi 8 had suffered hull fractures resulting in water ingress.